In 1994, the Vaccines for Children program (VFC) was created by a Federal budget authorization in direct response to a measles resurgence in the United States that caused tens of thousands of cases and over a hundred deaths, despite the availability of a measles vaccine since 1963. The net effect of the VFC program was that it provided (and continues to provide) vaccines to children whose families or caregivers couldn’t otherwise afford them, such as those who are uninsured or Medicaid eligible. These are vaccines that have saved 700,000 children’s lives. It was one of America’s great social healthcare programs in the history of the USA. VFC had an immediate and positive effect on the health of America’s children. Today, well over 90% of children in kindergarten are vaccinated. But back in the late 1980’s, vaccine uptake was low because of the cost of vaccines (and the lack of health insurance to pay for it throughout large groups of Americans), which lead to the measles outbreaks in the late 1980’s and early 1990’s. Thanks to the VFC Program, measles cases dropped from 55,000 in 1991 to 137 in 2018. I hate having to reiterate a point over and over, but measles isn’t some minor childhood disease, which can be ignored. About 30% of children who get the measles develop more serious complications, some that require hospitalization and admission to the ICU (and this is random, it’s not dependent upon whether your children ate organic apples or not). And 1-2 out every thousand children die of the disease. If we didn’t have a vaccination program, millions of children would catch the measles every year, and thousands would die. 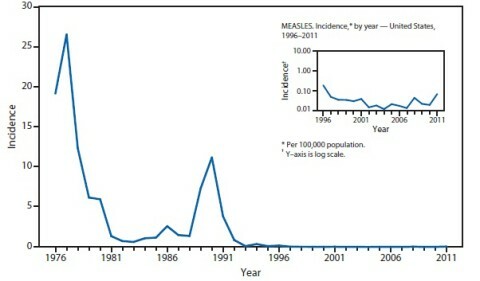 Nearly 200 children died from the measles in the outbreaks from 1989-1991. The VFC program is one of the great successes of public health, and very simple math can show that vaccines saved 700,000 children’s lives over the last 20 years. The brilliant and dedicated scientists at the CDC estimated that the VFC program vaccinations have prevented more than 21 million hospitalizations and 732,000 deaths among children born in the last 20 years. Just look at that number. Go find Baltimore on the map. Because VFC vaccines saved more lives than live in the city of Baltimore. The CDC also states that there would net savings of $295 billion in direct health care costs and $1.38 trillion in total societal costs. 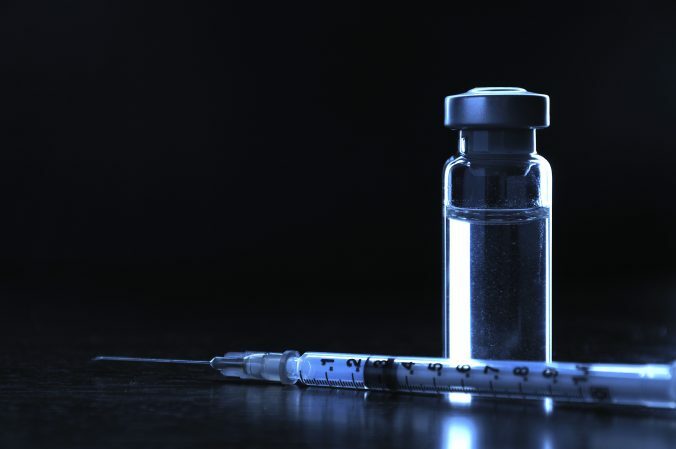 There are some estimates that each critical care admission from a vaccine-preventable disease, such as measles, can be over US$142,000. Moreover, the US healthcare system isn’t built for pandemics and epidemics. It’s estimated that the USA has around 2.0 critical care beds per 10,000 Americans. If we suddenly throw a million hospitalizations from vaccine-preventable diseases into our current system, it would be overwhelmed leading to a higher death rate and costs that would bankrupt individuals, state and Federal government, and insurance companies. It would be a disaster of epic proportions. One of the myths pushed by the anti-vaccine activists is that vaccines are dangerous and don’t have any real effect on health, so why bother taking them. They claim that “natural” immunity (a preposterous and nonexistent kind of immunity), even getting infected by the pathogen itself, is the best way to protect against disease, and avoid mythical adverse events like autism. These same vaccine deniers also dismiss the potential consequences of many of these vaccine-preventable diseases – either claiming they disappeared before vaccines showed up, or only genetically inferior children get really sick from vaccine-preventable diseases. Many of these pseudoscience pushers claim that they can take a few homeopathic (read, water) drops to cure the disease. In other words, all ignorant and pseudoscientific nonsense. So let’s use a peer-reviewed statistical and epidemiological analysis from one of the leading and most prestigious public health institutions in the world, whose only goal is to study and analyze infectious diseases so that they can save lives of all people of the world–the US Centers for Disease Control and Prevention (CDC). They say that vaccines save lives, not just a few, but a few hundred thousand. And the math is very simple, so simple that a sixth-grade caveman could do it, that lives will be saved, that money will be saved, and that resources will be saved. How hard can it be to understand that? But, the anti-vaccine crowd create all kinds of ad hominem attacks against the 15,000 highly educated and dedicated staff members of the CDC, many of whom have given their lives to public health service from the day they entered college. CDC staffers are usually the ones that risk their lives by flying out to investigate a new outbreak of a disease. They’re the ones that spend tens of thousands of hours in labs trying to find the cause of a novel disease, and from that, try to prevent and/or cure that disease. I will never understand the attacks on the CDC. But I think that the anti-vaccine forces dislike any group that promotes science in vaccines. It is incredible that the vaccine deniers, who rely upon their Dunning-Kruger cognitive bias and a complete lack of evidence supporting their claims, pretend that they know more than the CDC. The CDC doesn’t care about these anti-vaccine radicals making fun of them, the CDC just goes out and saves lives. In the simple math of who is more valuable to the world, I’ll take the CDC. Let’s give thanks to Congress who, back in a day when they actually worked together to help the nation, gave us the Vaccines for Children Program. Thanks to the CDC for administering this program and saving so many children’s lives. It’s a great day to learn that the good guys beat the evil diseases. Editor’s note: This article was originally published in April 2014. It has been updated to fix some broken links, improve formatting, and improve some language. Adams DA, Gallagher KM, Jajosky RA, Kriseman J, Sharp P, Anderson WJ, Aranas AE, Mayes M, Wodajo MS, Onweh DH, Abellera JP; Division of Notifiable Diseases and Healthcare Information, Office of Surveillance, Epidemiology, and Laboratory Services, CDC. Summary of Notifiable Diseases – United States, 2011. MMWR Morb Mortal Wkly Rep. 2013 Jul 5;60(53):1-117. PubMed PMID: 23820934. Carr BG, Addyson DK, Kahn JM. Variation in critical care beds per capita in the United States: implications for pandemic and disaster planning. JAMA. 2010 Apr 14;303(14):1371-2. doi: 10.1001/jama.2010.394. PubMed PMID: 20388892. Whitney CG, Zhou F, Singleton J, Schuchat A; National Center for Immunization and Respiratory Diseases, CDC. Benefits from immunization during the vaccines for children program era – United States, 1994-2013. MMWR Morb Mortal Wkly Rep. 2014 Apr 25;63(16):352-5. PubMed PMID: 24759657.